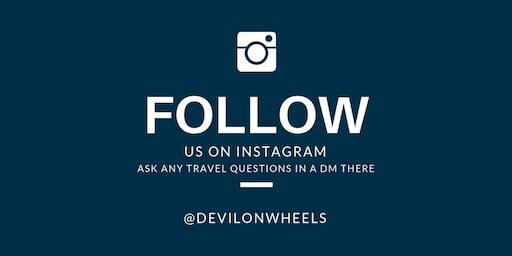 You can advance book your hotels or camps for your tours in the Himalayas online by checking out for some SPECIAL DISCOUNTED RATES available to all the readers/followers of the Devil On Wheels website through our handpicked & trusted Destination Specialists. 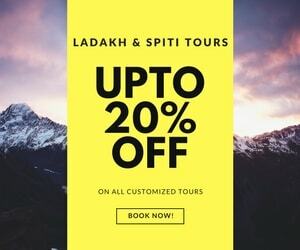 In order to avail the discounts, you can use the online booking form below and get in touch with respective experienced destinations specialists from the different regions of the Himalayas. Tsomoriri Camp and Resort - Tso MoririWonderland Camp - Pangong TsoHimalayan Retreat - Pangong TsoCamp Watermark (Super Deluxe) - Pangong TsoHimalayan Wooden Cottages - Pangong TsoPangong Sarai Camps - Pangong TsoHotel Sten Del - Deskit Nubra ValleyOther Hotel? Sakya Abode or Snow Lion or KumphenHotel Kalpa Mansion - KalpaHotel Mandala - KazaHotel PD - KazaNew Kaza Homestay - KazaLhalung HomestayTabo HomestayHotel Valley View - ManaliCamps - ChandratalHotel Apple Pie, KalpaHotel Apple Pie, RakchamKailash View CampsRupin River View Guest HousePrakash Guest HouseHotel Rakpa Regency, KalpaKinner Camps, SanglaGrand ShangrilaKunzum Guest HouseSiddharth Guest HouseTow Dhey Guest HouseTara Guest HouseSnow Valley Guest HouseHotel Spiti SaraiAny Other Hotel?